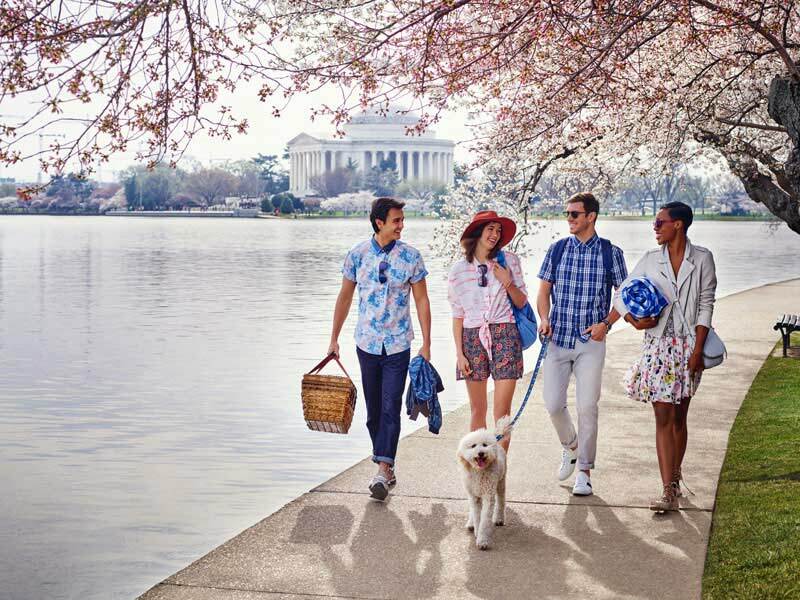 From the cherry blossom trees and National Cherry Blossom Festival to waterfront festivals and embassy tours, celebrate the best free things to do this spring in DC. A family-friendly spring break filled with free activities awaits in Washington, DC. The season is headlined by the blooming of cherry blossom trees and the corresponding National Cherry Blossom Festival, but your spring vacation does not have to be limited to that. There are plenty of free things to do throughout the city, and we’ve listed some of our favorites below. The Tidal Basin is cherry blossom central during peak bloom, but even if you come after they’ve peaked, the Tidal Basin remains one of the city’s most scenic spots. Pack a picnic here or get up at sunrise for a spectacular photo-op. 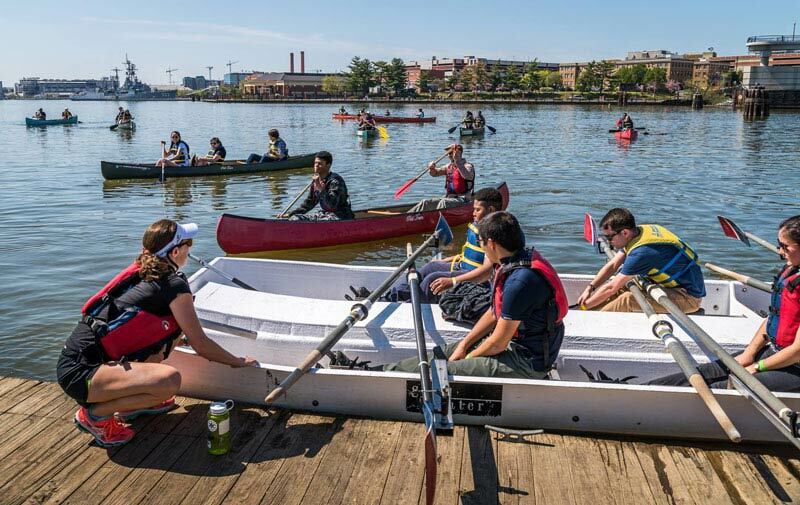 Part of the National Cherry Blossom Festival, the Anacostia River Festival celebrates the river with chances to canoe upon it, a bicycle parade and other fun bike-related activities, as well as lawn games that the entire family can enjoy. The free event will be held in mid-April. 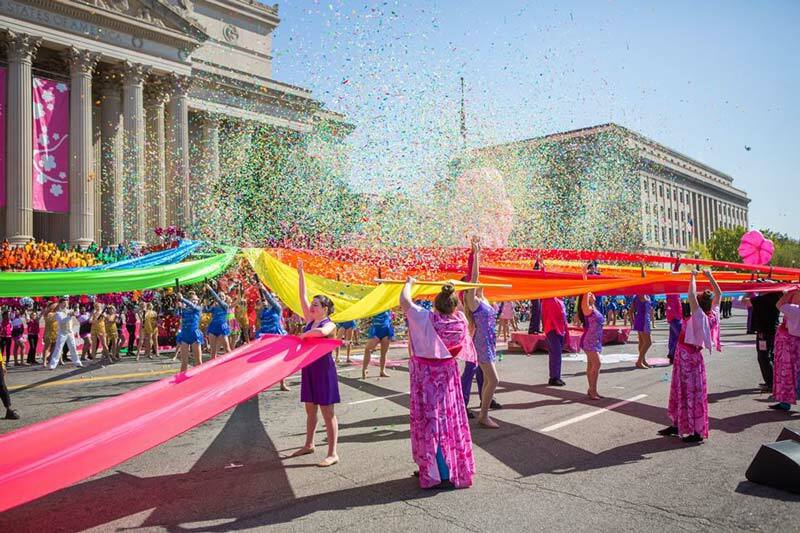 The National Cherry Blossom Festival (March 20 – April 13, 2019) features numerous events that are free to attend. The annual Blossom Kite Festival (March 30), which sees hundreds of kites take to the sky on the National Mall does not cost a cent to enjoy or participate in. You also don’t need your wallet to catch the Petalpalooza (April 6) or the National Cherry Blossom Festival Parade (April 13). 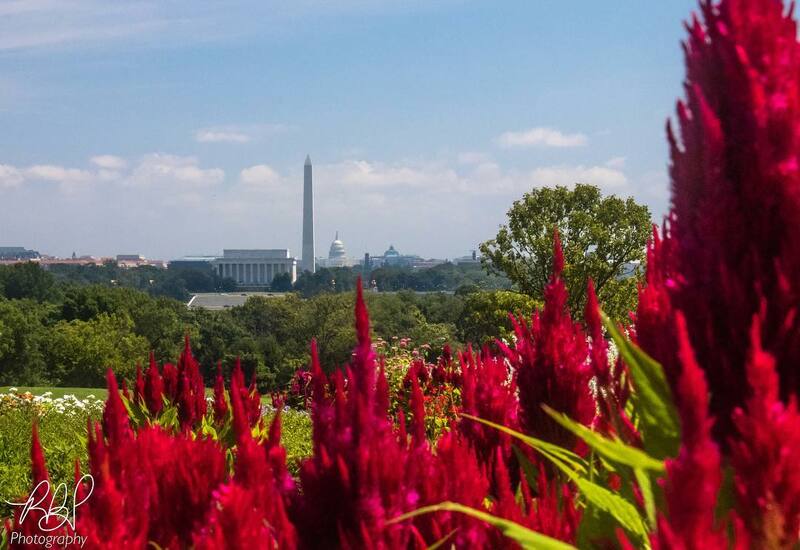 Seeing the blossoms on the National Mall is essential during any spring vacation to DC, but your flower exploration does not have to stop there. 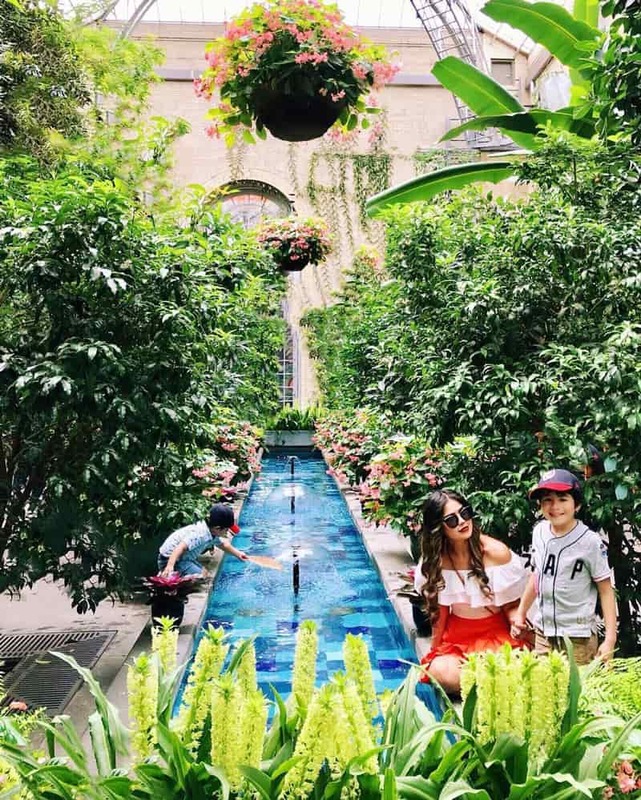 Check out the Bishop’s Garden at the Washington National Cathedral, which was planned to suit the 14th-century-style Gothic cathedral, or tour the U.S. Botanic Garden, which features blooming wildlife all year long. 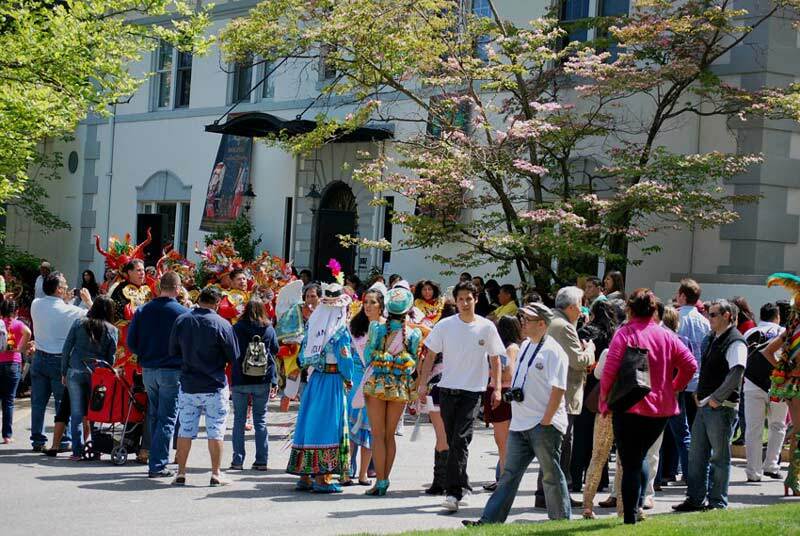 Passport DC is an only-in-DC experience that lets you step inside a foreign embassy for free throughout two Saturdays in May. The Around the World Embassy Tour includes countries such as Brazil, Chile, Japan, South Africa and Turkey, while the European Union Open House features Denmark, France, Germany and Spain, among many others. Each day will offer cultural activities, food, dance performances and art. 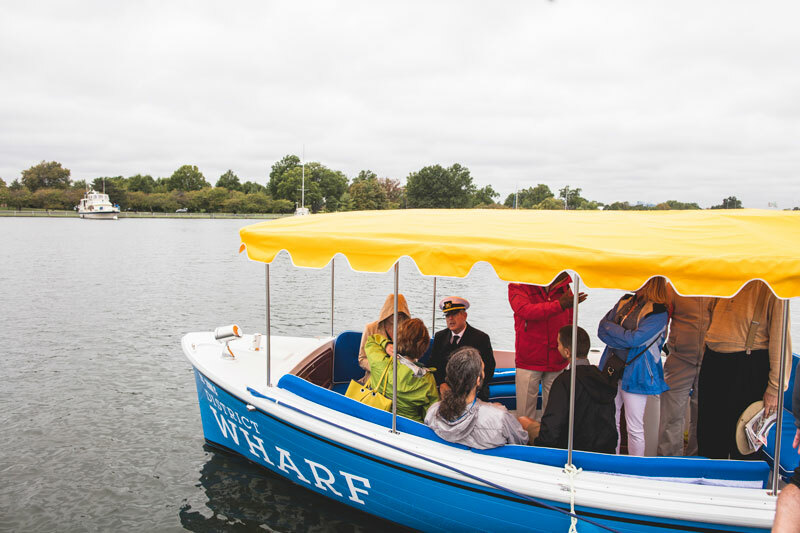 The Wharf, DC’s popular entertainment destination, allows you to take a free water jitney from its dock to the gorgeous Hains Point in East Potomac Park. While there, you can view cherry blossom trees along the water’s edge. Also in East Potomac Park: a golf course, a mini-golf course and plenty of space for picnicking. The Tidal Basin, including the cherry blossoms that surround the incredible Stone of Hope at the Martin Luther King, Jr. Memorial, and East Potomac Park are not the only places to feature cherry blossoms in DC. 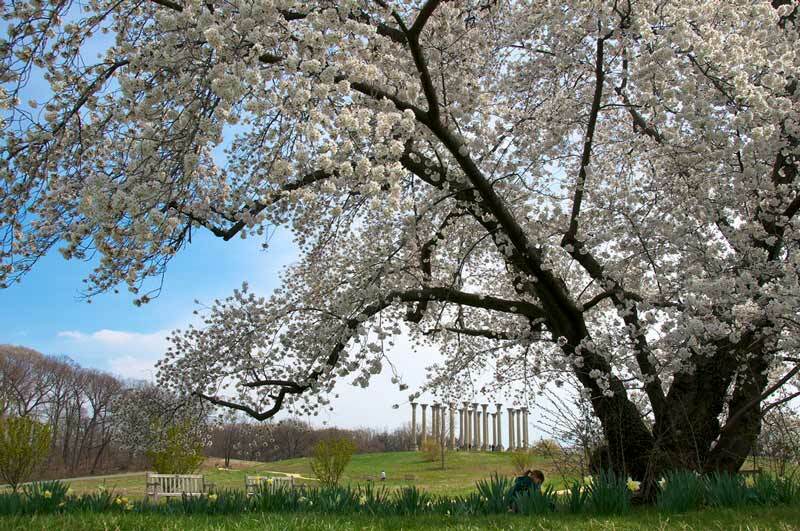 Stanton Park in historic Capitol Hill features a dramatic display of the trees, as does the U.S. National Arboretum. 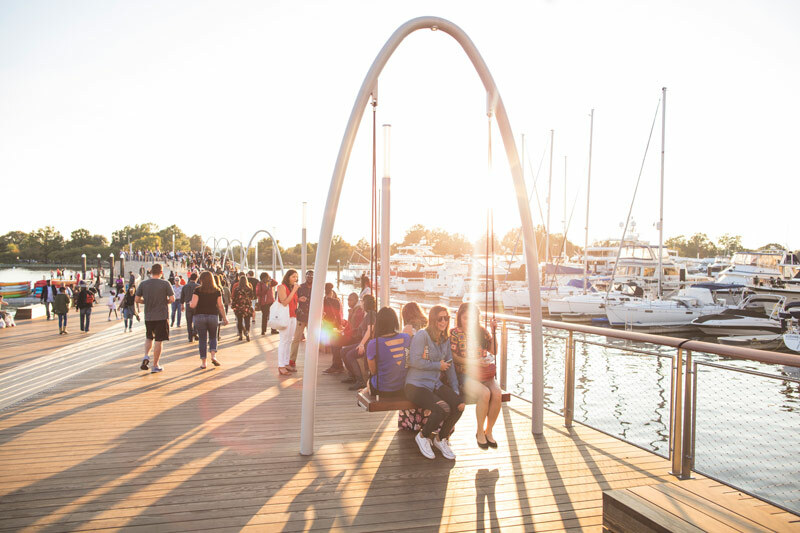 The Wharf’s Recreation Pier is perfect for catching some rays in its lounge chairs, or you can take a seat at any of its outdoor desks. There are also modern swing sets, where you can swing back and forth while admiring breathtaking views of the Washington Channel. Located on the George Washington Memorial Parkway, adjacent to the Arlington National Cemetery, the Netherlands Carillon was a gift from the Dutch to the U.S. in 1954 as thanks for assistance during World War II. 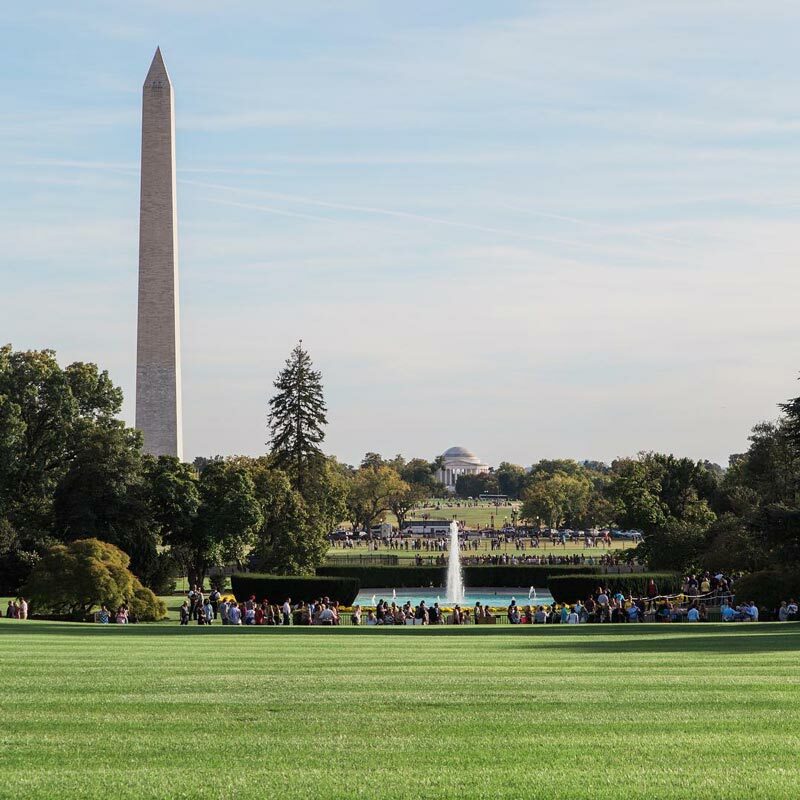 The grounds on which the open steel tower sit are perfect for picnicking and provide a glorious vista of the DC skyline. Every spring, the White House welcomes visitors into its gardens to witness their beauty, free of charge. The tour includes the famous Rose Garden, the White House Kitchen Garden and the Jacqueline Kennedy Garden, among other spaces. Check the White House's website for official dates and times for tours.